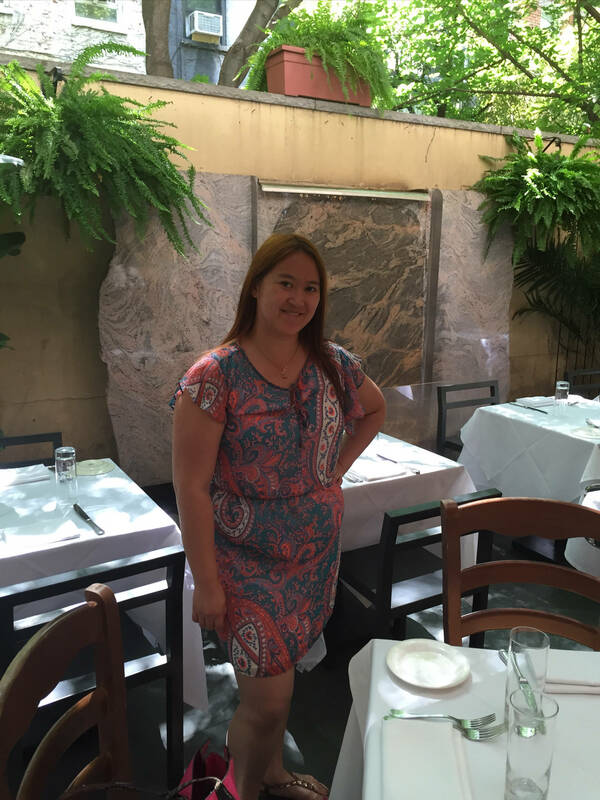 i Trulli is a lovely and charming Italian restaurant with a gorgeous outdoor garden in the back, where a friend and I enjoyed our Restaurant Week lunch meal. First we were given water and our glass was always full. Then the waiter brought out a small basket of bread: There were 2 different types. 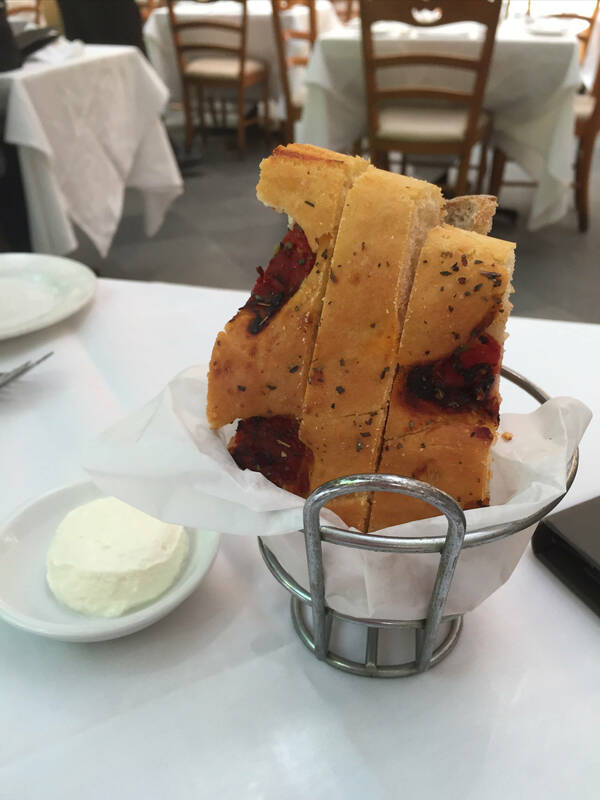 One was foccaccia like with sun-dried tomato, fennel, rosemary and other seasoning. The other was rustic brown bread. It came with nice fluffy and creamy butter. 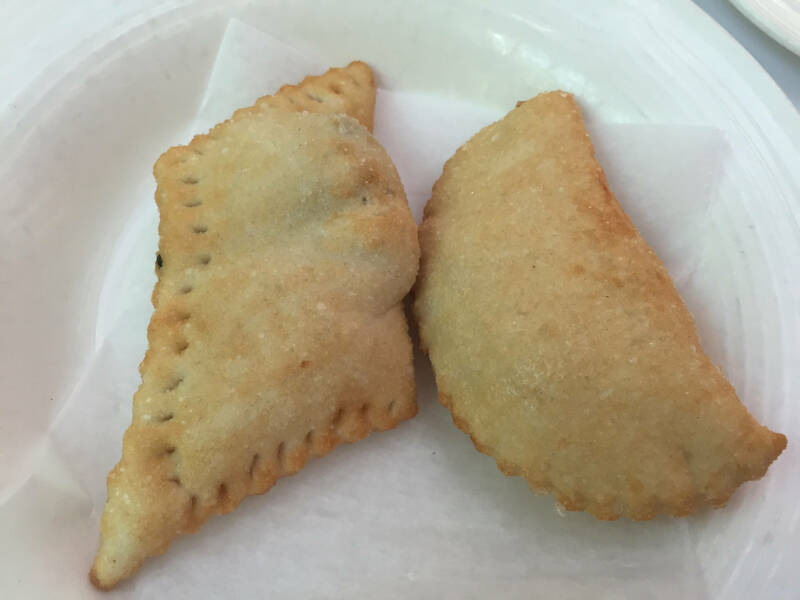 I had the baby calzones for my appetizer. One had cheese and tomato filling, while the other was sausage and broccoli rabe. I think I liked the cheesy one better. There wasn’t enough of the filling in the other calzone. 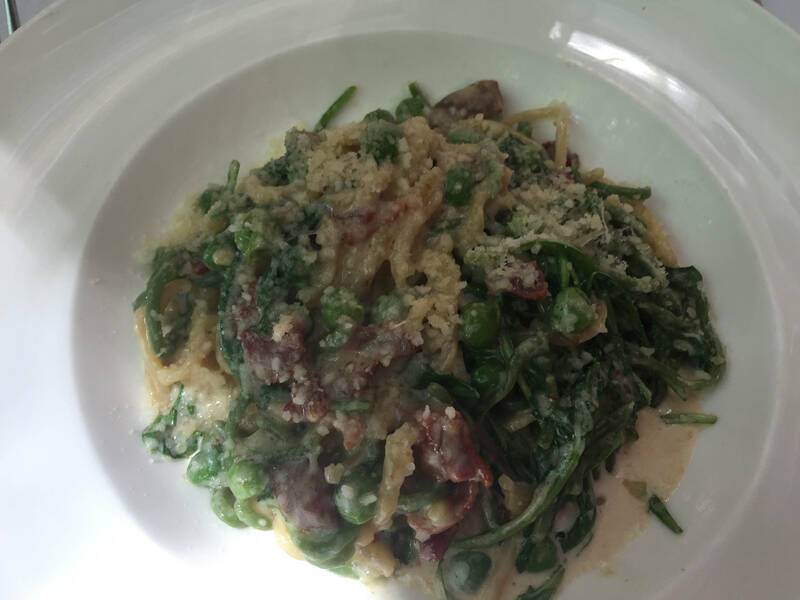 For my main course, I chose the “straw and hay” pasta dish, Paglia e Fieno, which came with peas, pancetta (lots of it, to my delight) and cream sauce. It was truly delicious! The pasta itself were long strips of golden yellow and green colors and cooked to perfection. The peas were fresh and wonderful, the pancetta was incredibly flavorful with just the right amount of salt, slightly crispy with tons of great seasoning. It tasted amazing. The dish also came with lots of Parmesan cheese. It was very rich and filling. 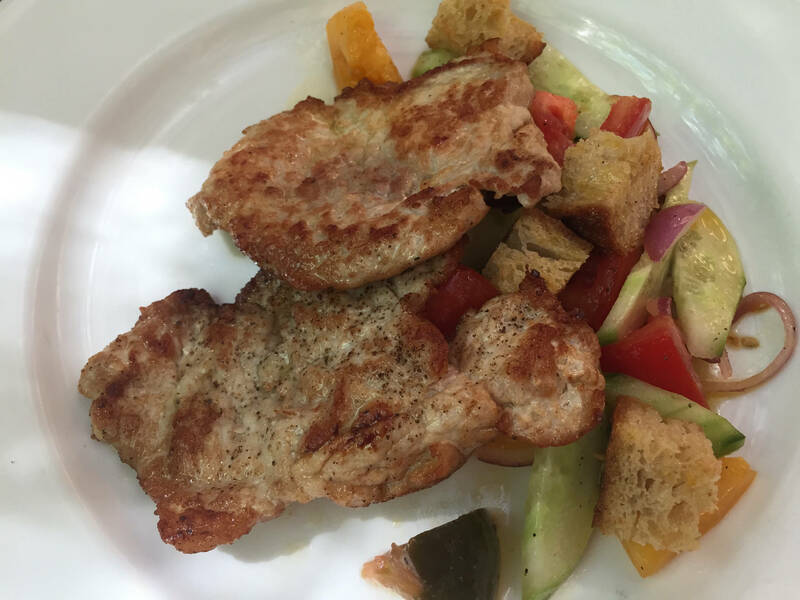 My friend had the Pork Scaloppini which was pork medallions with bread salad of tomatoes, onion and cucumber. The presentation was really nice and I loved that it was so colorful, but I wasn’t a huge fan of the pork. It didn’t taste all that flavorful to me and was a bit too chewy. The salad was pretty tasty though. Dessert was Torta di Cioccolato, chocolate cake with a scoop of coconut sorbetti. When we were first served dessert, my friend and I felt that the portion size was quite small, but it still satisfied us. The cake, however, was more like a mini brownie with chocolate drizzled on top. The ice cream was in a perfect small ball and there was toffee peanut brittle underneath it. 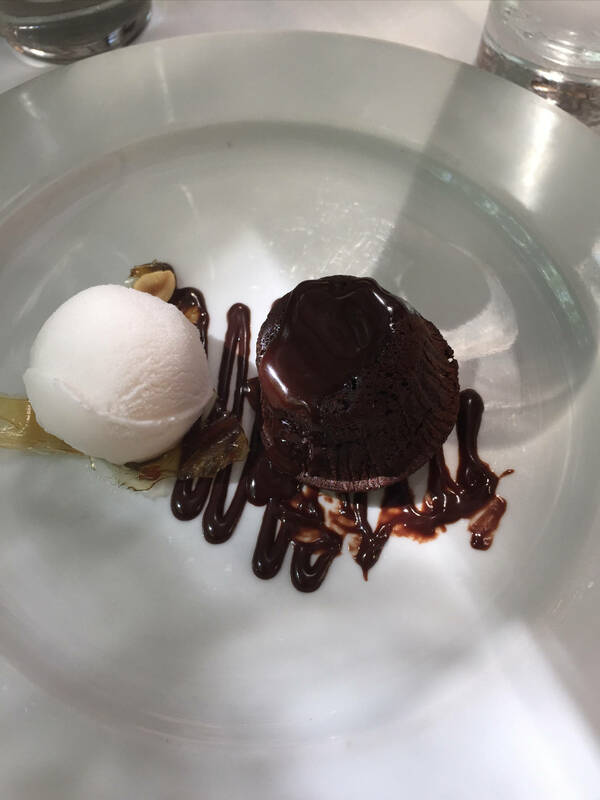 I enjoyed the cake which was chocolate-y, moist and slightly sweet, while the coconut sorbetti was refreshing and light. 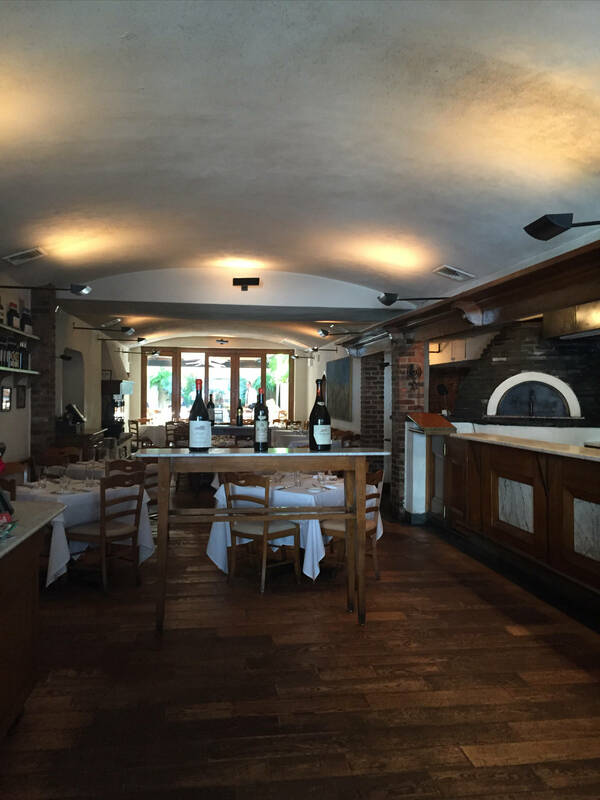 I really enjoyed the meal, atmosphere and attentive service at i Trulli.